Leland “Lee” Hedstrom, age 75 of Hoffman, died Wednesday, January 17, 2018, at the Sandford Hospital in Fargo, ND. Lee was born on November 22, 1942, to Alvin and Hazel (Dalum) Hedstrom on the family farm near Herman, MN. He was baptized and confirmed at Bethel Lutheran Church in Herman. Lee attended country school until the seventh grade and graduated from Herman High School in 1960. After high school, Lee spent a year working at Pederson’s Agri-Service in Herman as a parts man. In the fall of 1961, he enrolled in Alexandria Technical College’s Farm Equipment Mechanic program and was a member of the program’s first graduating class in 1963. Lee enlisted in the National Guard in 1963 and attended basic training in Fort Jackson South Carolina. He was honorably discharged in 1969. Lee was united in marriage to Polly Andert on August 15, 1964, at the First Congregational Church in Alexandria, MN. Lee and Polly made their home in Alexandria while Lee worked for Swanson Trucking. In 1965, they moved to Hoffman and Lee became a route driver for Ingmar Berg and Dennis Peterson. In 1970, Lee was able to begin a career in what he was most passionate about, farming. Lee farmed near Herman until the fall of 1973, when he and Polly moved to their current home four miles west of Hoffman. Lee and Polly were dairy and grain farmers until April 1984, when a tornado leveled most of their outbuildings, barn, and the home in which they sought refuge. The tornado brought about the end of the dairy portion of his business but Lee continued to farm the land and drove bulk truck for Roger and Bonnie Herald in the winter months, and later drove recycling truck for the Grant County DAC. Lee and Polly have three sons who enjoyed helping Lee to work the land and harvest his crops. 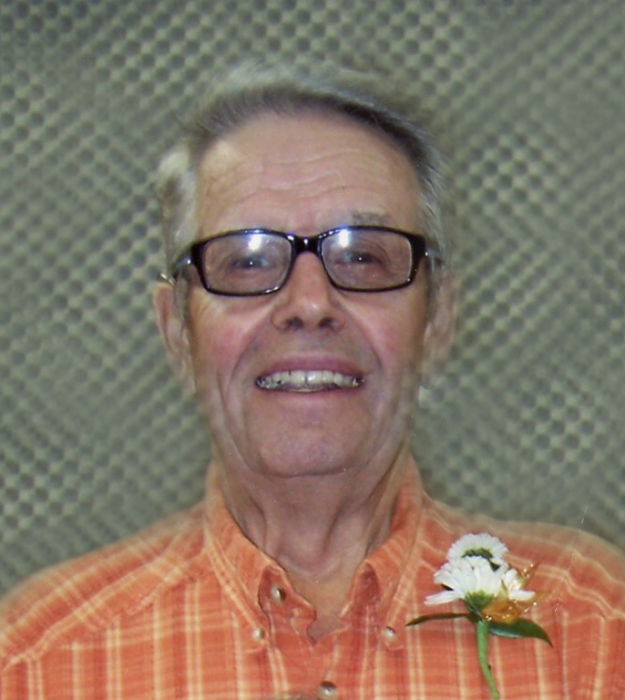 Lee was a member of Messiah Lutheran Church, where he served on the property committee and the Lands Cemetery Board. He served on the Hoffman Co-op Grain Board for 27 years, the Land Township board, was a member of the Hoffman C&C, and for many years was instrumental in putting together the Hoffman Harvest Festival Parade. Lee was proud of Hoffman and an advocate of supporting local businesses. He enjoyed tractor pulls, tractor parades, the Grant County Fair, and most of all, hosting his annual plowing bee. Lee loved farming. He did not have the newest or best machinery, but he always got the job done and was very happy with what he had. Farming was not only his livelihood, but it was also his hobby. He had a warm smile and was always thinking of others. Lee was kind, generous, and humble. He was always willing to help a friend, neighbor, or stranger. Lee is survived by his wife, Polly Hedstrom; sons, Kent (Gail) Hedstrom of Elbow Lake, Paul (Tracy) Hedstrom of Hoffman, and Mark Hedstrom and his fiancé Amanda Hoy of Fargo; grandchildren, Brittany Hedstrom (Luke Dawson), Scott Hedstrom, Kaylyn Hedstrom, Elsa Hedstrom, and Landon Hoy; his siblings, Gary (Karen) Hedstrom of Owatonna, MN, and sister Leanne (Jerry) Irwin of Faribault, MN; and several nieces and nephews. Lee was preceded in death by his parents, an infant brother and his in-laws Paul and Doline Andert. Visitation: 5PM to 7PM Monday, January 22 at Messiah Lutheran Church, Hoffman with a Prayer Service at 6:30PM. Visitation will resume one hour prior to the service at the church.